Trees and shrubs are two of the most important elements in the landscape. They provide structure and give the garden a sense of enclosure. Shrubs are the walls of the garden and trees, the ceiling. Search our Plant Library to find the right tree or shrub for your garden! Deciduous is just a fancy way of saying 'trees that lose their leaves in winter.' We often categorize them as either 'shade' trees or 'ornamental' trees. The term 'shade tree' is also often used when describing trees that are 30 feet or taller at maturity, while 'ornamental tree' is used when describing trees that are under 30 feet tall. Evergreen trees are those which retain their leaves (needles) during the winter. They are put into two categories; Broad-Leaved Evergreens and Needled Evergreens. You will often hear them referred to as 'conifers' because they produce cones rather than flowers. Evergreen trees do lose their leaves (needles) but at a much slower rate than their deciduous kin. To keep new trees from growing into utility lines, plant small, medium and large mature growth trees a proper distance from power line rights-of-way. Small Trees - Mature height of less than 14 feet - within 20 feet of overhead power lines. Medium Trees - Mature height of 40 feet or less - at least 20 feet from power lines. Large Trees - Mature height over 40 feet - at least 45 feet from power lines. 'Shrub' is a vague term but generally refers to small, bushy or multi-stemmed plants. It can be difficult to determine if a plant is truly a shrub. Some large shrubs can be pruned to resemble small trees, while some small trees may appear 'shrubby' to some. Shrubs also come in either deciduous or evergreen varieties. Hydrangeas can be placed into three different categories; the Macrophyllas (mopheads and Serratas), the Paniculatas (PeeGee varieties) and the Oakleafs. All will do fine with morning sun and afternoon shade. Of the three, the Paniculatas do best with more sun. No hydrangea will perform well in dense shade. If your hydrangea does not bloom it could be that it does not get enough light. Also, many hydrangea varieties bloom on old wood. If they are pruned in the fall or if there is die-back from a severe winter, you may not have blooms the next year. Only the Paniculatas should be pruned in early spring. Mophead varieties are sensitive to soil pH. If your soil is alkaline they will be pink...add Aluminum Sulphate to turn them blue! In 1872 J. 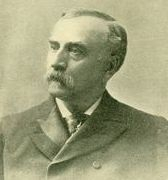 Sterling Morton, editor of Nebraska's first newspaper, proposed the idea of a tree planting holiday to be called "Arbor Day." By 1894 Arbor Day was celebrated in every state.